This March 21st is France’s ‘Good France’ – the celebration of French Gastronomy. With over 2,000 participating restaurants over 150 countries, Mozaic restaurant is proud to represent French gastronomy in Bali. 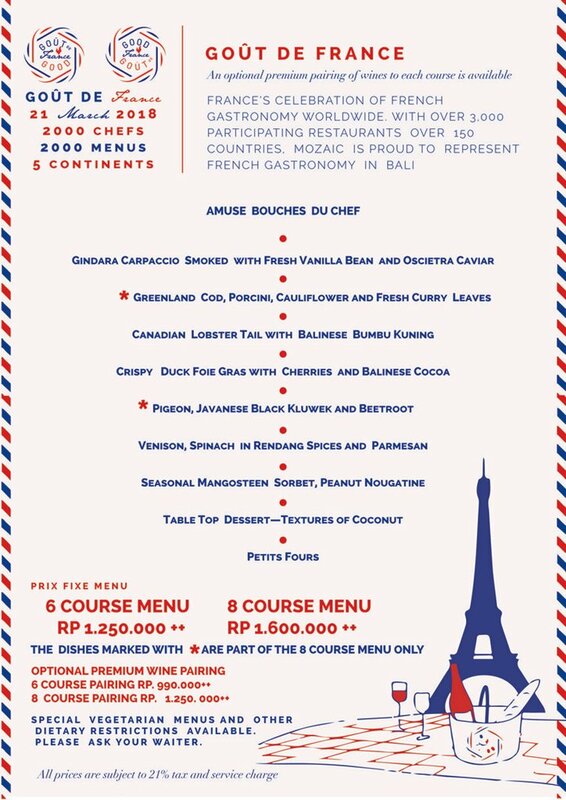 Come enjoy a special festive menu which will commemorate classic French cuisine fused with the delicate flavors of Indonesia.